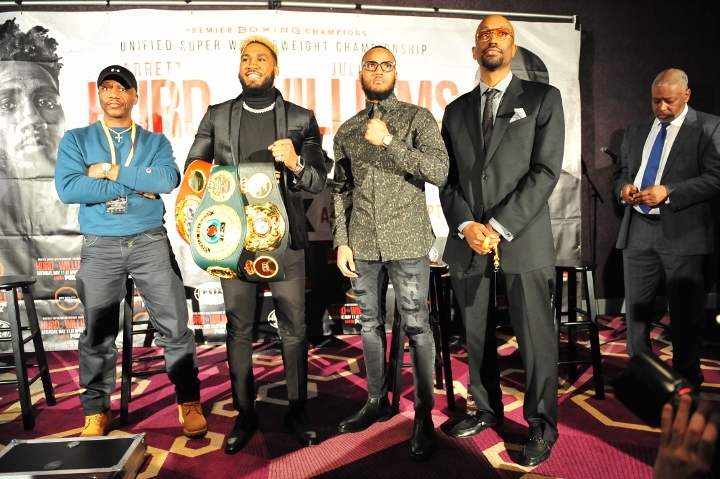 NATIONAL HARBOR - - Unified and undefeated IBF, IBO and WBA 154-pound "Swift'' Jarrett Hurd and top contender Julian "J-Rock'' Williams previewed their recently announced showdown at a press conference Sunday before they meet in primetime in Premier Boxing Champions on FOX and FOX Deportes action on Saturday, May 11 at EagleBank Arena in Fairfax, Virginia. 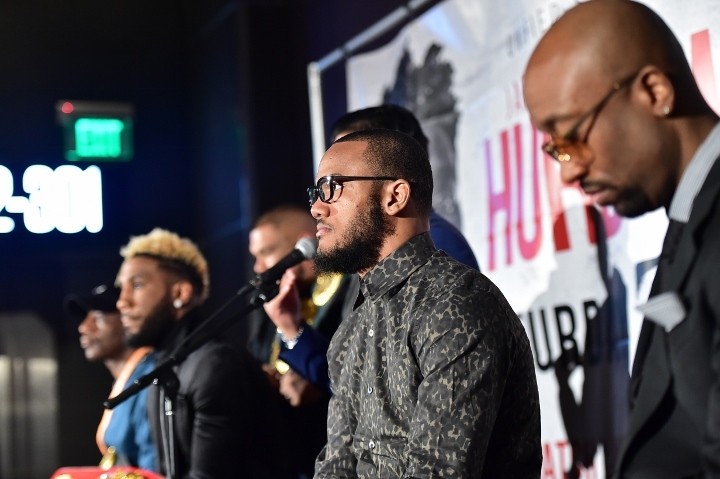 (photos by Kent Green). 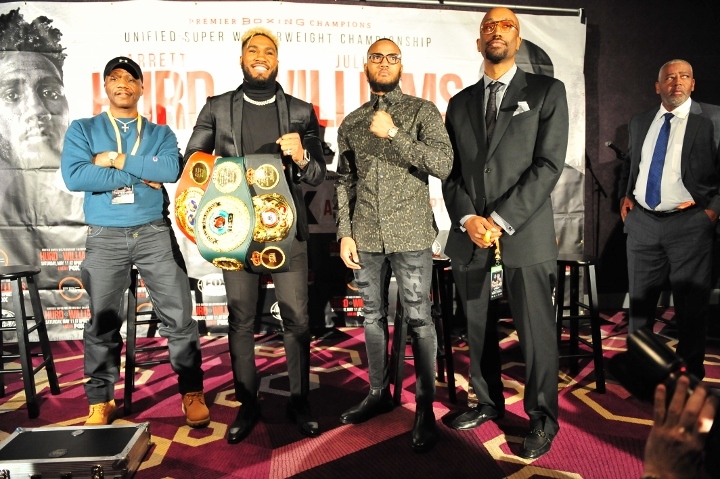 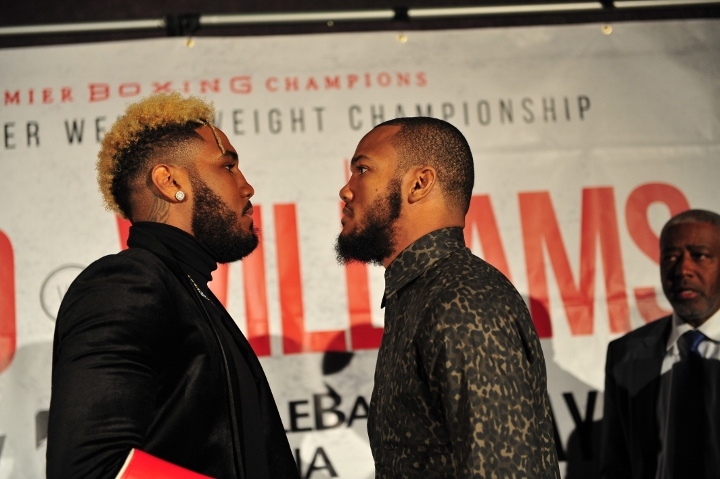 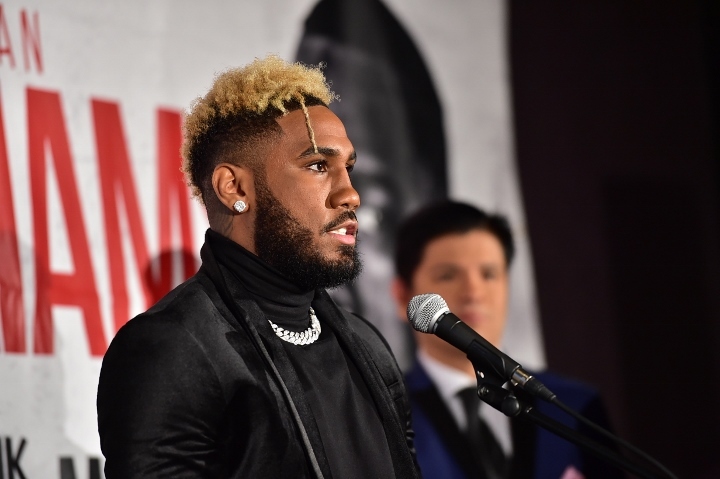 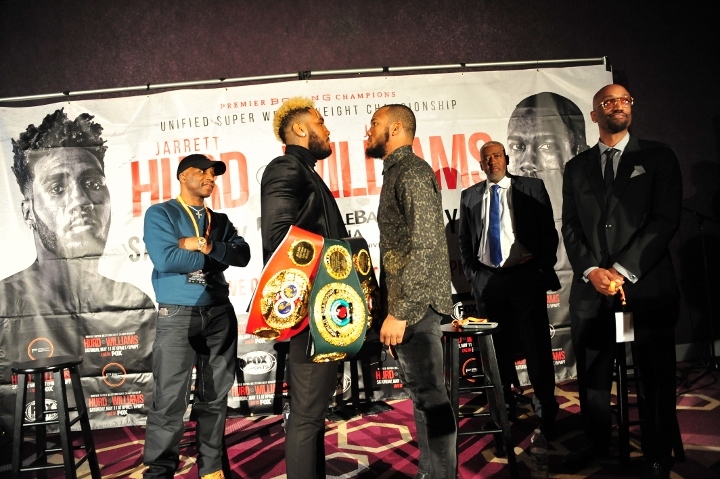 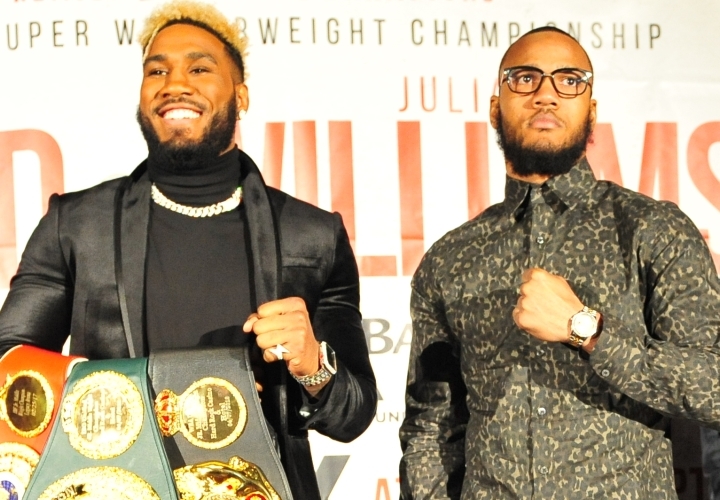 Hurd vs. Williams pits IBF and WBA 154-pound world champion Jarrett Hurd against top contender Julian Williams in the main event of Premier Boxing Champions on FOX and FOX Deportes Saturday, May 11 from EagleBank Arena in Fairfax, Virginia. 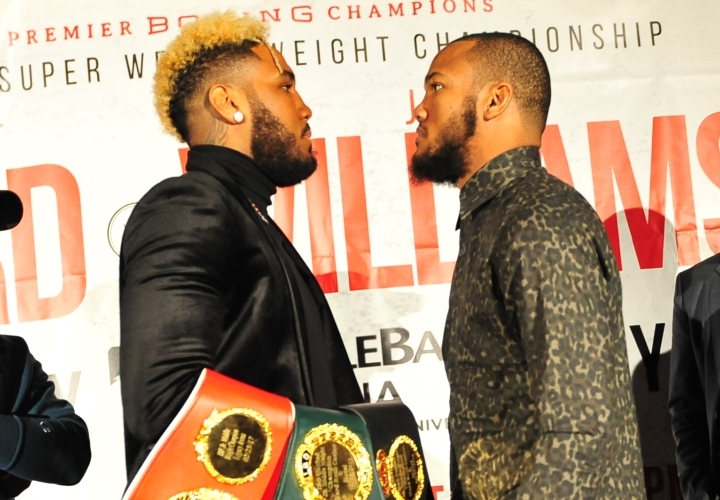 Unbeaten super lightweight contender Mario "El Azteca" Barrios battles Argentina's Juan "The Pitbull" Jose Velasco in a 10-round fight and middleweight contender Matt Korobov clashes with Immanuwel Aleem in a 10-round bout as part of televised action beginning at 8 p.m. ET/5 p.m. PT. 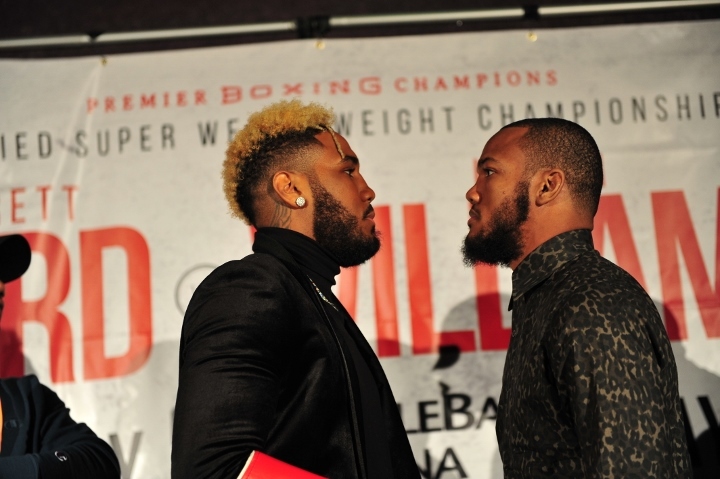 This could be a fight of the year candidate. 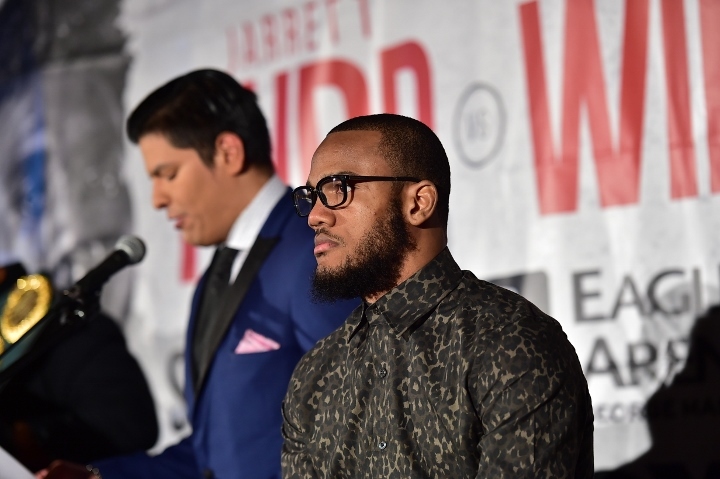 When the dust settles Hurd is going to be the last man standing in this division, as long as he continues to make weight. 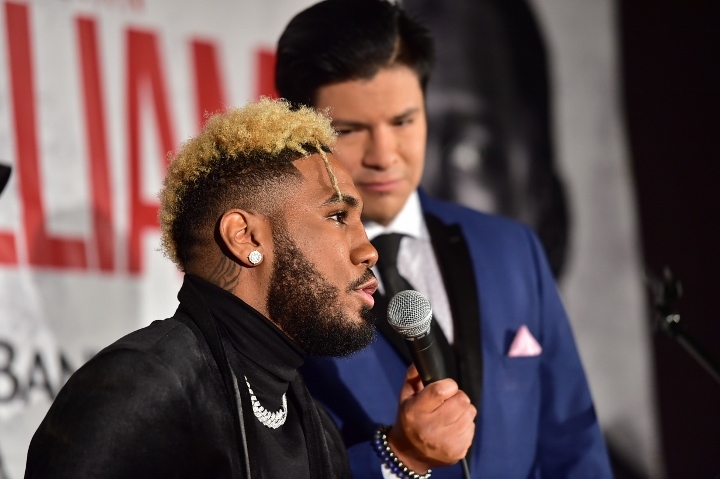 Too bad this is who JRock has to face for a belt!